The field pack is fabricated of Army shade 106 olive green, water repellent treated, 7.25 ounce nylon duck, having a flap closure with buckle straps and a carrying handle. It is 9 1/4 inches wide, 10 3/8 inches high, 6 inches deep. 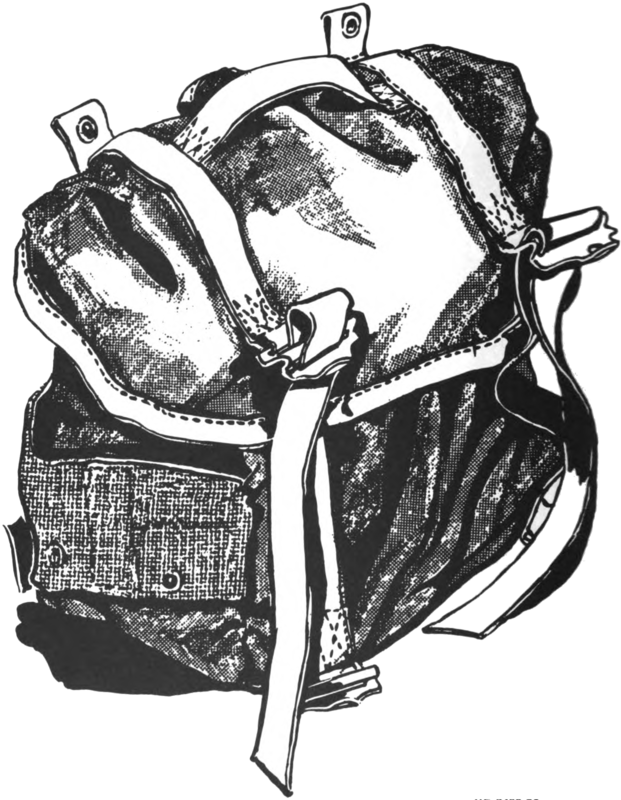 The back of the pack has two slide keepers, two webbing keepers with snap fastener closures and two eyelets so that the pack can be worn on the belt or on the suspender shoulder straps. LP/P DES 27-67, superseded by MIL-F-43733.